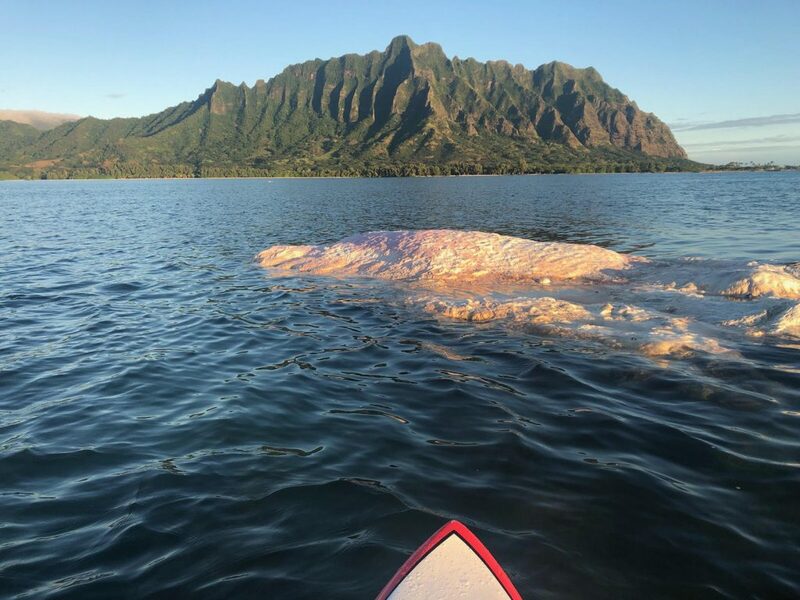 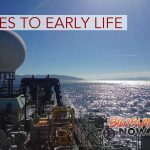 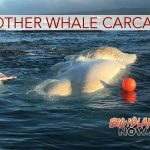 Experts from federal and state agencies have agreed that the best option for a whale carcass found stuck on a reef in Kaneohe Bay on Tuesday, is to leave it where it’s at for now. 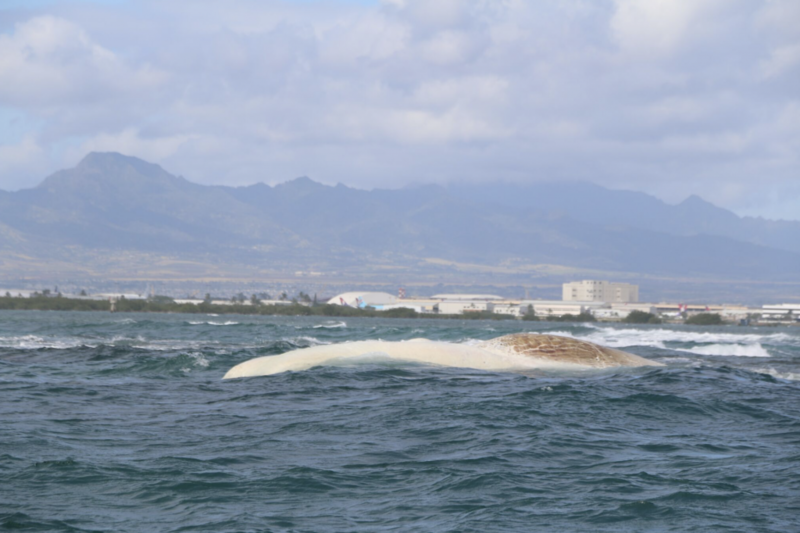 The large and badly decomposed whale carcass is on a patch reef in the northern part of the bay, about a mile off shore. 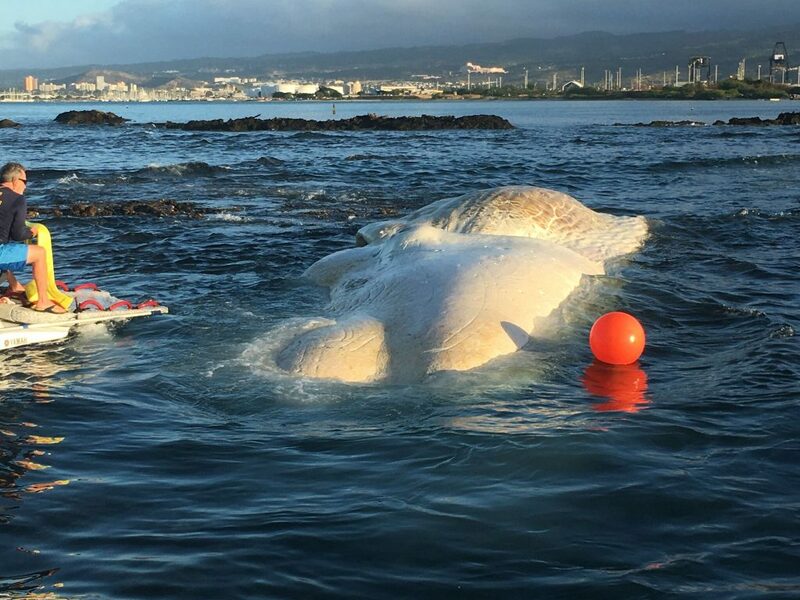 It appears at this time that winds and waves will not bring it into land.